Thanks for killing the planet, dog owners. Well, that's a rough paraphrase of a New Zealand study that claims a medium-size dog leaves a larger ecological footprint than an SUV. In "Time to Eat the Dog? The Real Guide to Sustainable Living," authors Robert and Brenda Vale argue that resources required to feed a dog -- including the amount of land needed to feed the animals that go into its food -- give it about twice the eco-footprint of, say, building and fueling a Toyota Land Cruiser. Noting that a cat's pawprint was roughly equivalent to a Volkswagen Golf's, "New Scientist" (www.newscientist.com) asked an environmentalist at the Stockholm Environment Institute in York, U.K., to independently calculate animals' environmental impact, and reported that "his figures tallied almost exactly." The study apparently didn't take into account the emissions of either the SUV or the dogs. "If you look at a large-size dog, they can live 10-14 years, and it certainly wouldn't surprise me," Don Jordan, director of the Seattle Animal Shelter and President of the Washington State Federation of Animal Care and Control Agencies, said of the study. "There's a lot that goes into manufacturing and producing food to care for dogs during the course of a life." "If, in fact, this is true ... I would think that pet owners would look at the manufacturing process for the items they're buying for their dogs. I've seen every year the boutique shops for dogs start to sprout up, whether it be bakers or clothing stores or treats or stuff," Jordan said. Seattle Mayor Greg Nickels' spokesman Alex Fryer somehow appeared not to find the matter urgent. "We never answer a hypothetical," he said. Candidate Mike McGinn didn't respond to a Seattle Times query. Joe Mallahan's spokeswoman, Charla Neuman -- who owns two St. Bernards -- refused to relay questions on the topic to Mallahan. "Thank god this wasn't paid for by taxpayer dollars," Neuman said of the New Zealand study, while spinning the matter thusly: "Take the combination of Joe having a small dog and driving a Prius, and he'll be a very green mayor." "When I saw the study I ran some quick numbers," Williams-Derry said. 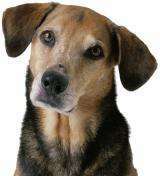 "The average dog has to eat at least twice as much as the average person for this to be right. People are just heavier than dogs so, I just had to scratch my head at that. "It doesn't mean dogs don't have a big impact," he noted. "But I view it with a healthy dose of skepticism." At The Bullitt Foundation, which is devoted to environmental preservation, Steve Whitney said, "I guess in a perfect world the real cost of our consumer products would be reflected in the price we pay and our decision about our pets and health would also reflect the cost so we could make rational decisions about it. I suspect benefits derived from companionship of our animals, while difficult to quantify, would also be part of the equation." Also scoffing to some difficult-to-quantify degree, Whitney said that if one were to really tackle the eco-footprint problem, "I don't think dog ownership would be the place to start." Johnny, why don't you have your homework? Another case of focusing on the small things and ignoring the big things.... like all that coal we burn to generate electricity. It's time to get serious about climate change. Ban electricity, ban cars, ban dogs and cats. In fact we should ban breathing as well - how much CO2 do we exhale with every breath after all? Or at least place high taxes on those activities. 1 cent per exhalation could go a long way to saving the planet. How is a pile of cash going to save the planet? This is a serious question: How are all those 'carbon credits' and 'carbon offsets' helping one bit? The study...didn't take into account the emissions of either the SUV or the dogs. 'nuff said regarding completeness and accuracy of any findings. I really don't even understand what the author's were hoping to achieve with this "study", unless they were just trying to point out how meaningless the whole carbon-footprint thing is, in regards to being "environmentally friendly". How are all those 'carbon credits' and 'carbon offsets' helping one bit? It's not. It is a great way to grow the government however. And for a gov't who wants it's People to depend on it, it is also a great way to increase dependency, by leading People to believe these goals (of being "green") can't be accomplished without the gov't. Sure, it can be said that some of this money would go towards funding "green" technology, however the fact is we don't need a larger government to advance these causes, we just need a healthy free market economy, instead of the planned economy we've had since 1913.